Over the years we have had customer requests for a brewer and grinder combination. 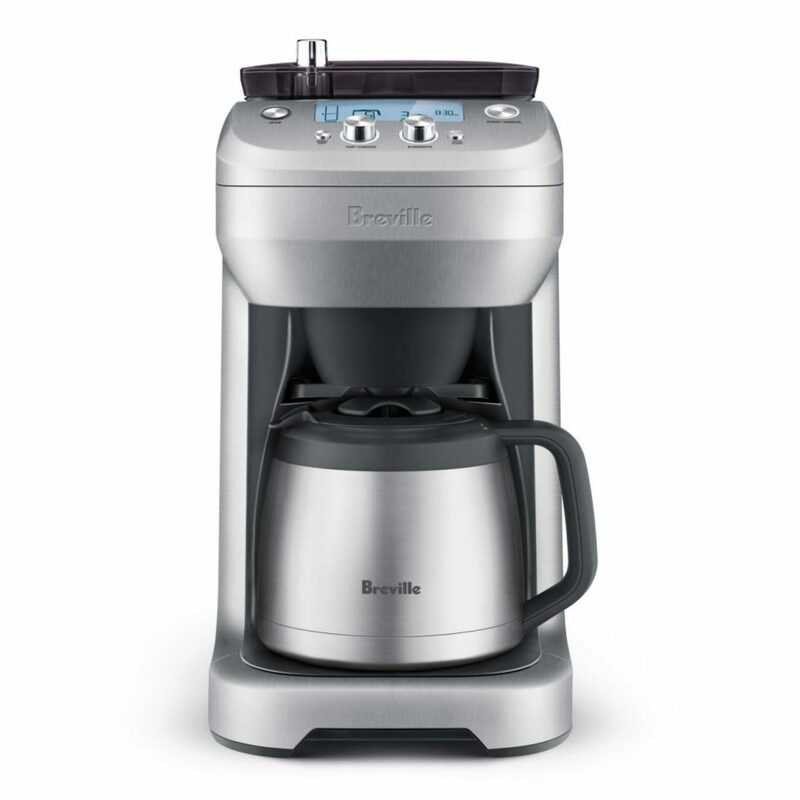 Breville, an Australian manufacturer of quality appliances, makes this Grind Control coffeemaker which does just that. 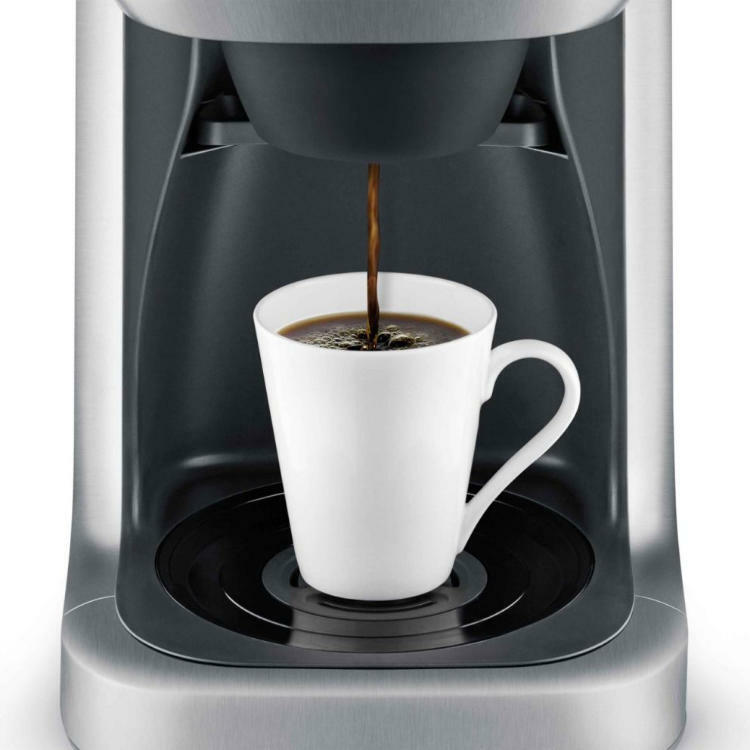 The Grind Control is a 12 cup (60 ounce) brewer that allows you to adjust grinder and calibration functions to suit your taste. 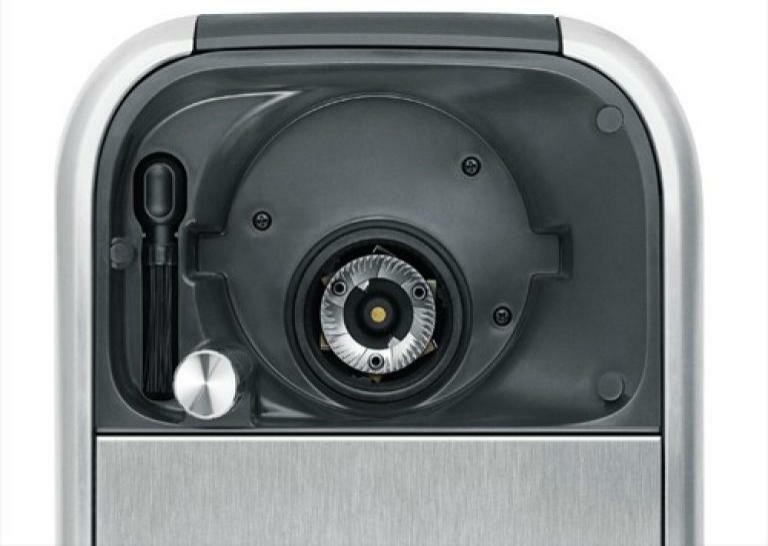 The built-in grinder permits you to capture freshness from our beans by grinding right before you brew with what Breville terms "Steep and Release" technology. The brewer has tremendous versatility as both size of the batch and vessel into which it brews: choose to brew directly into a carafe, tall cups or travel mugs - the choice is yours. Intuitive LCD Display - A clear and concise screen shows grind setting, grind time and number of shots or cups you have selected. Auto Start - Set the time you would like your coffee and the Grind Control will start the process on its own to ensure it's ready and waiting. Brew as little as a single cup. Customize the grind size and coffee to suit your taste. Grind immediately before brewing for maximum flavor. Brew directly into a large carafe, tall cup or travel mug with equal balance and flavor profile. Dimensions 8.5" x 12.5" x 16.3"